Having grown up on the east coast, I had a steady diet of the Atlantic Ocean. And while I was never a big fan of the beach—sitting out in the sand for long periods of time was not my thing—I do love the ocean water. The Atlantic, whether on the Jersey Shore, or off the coast of Florida, is wonderful for swimming or floating along the waves. Now that I live in the northwest, the Pacific Ocean is the ocean of record. And living near the coast means that it is in within reach, and I visit not infrequently. Whether down to the Oregon Coast, or a quick trip out to Ocean Shores, the Pacific has a similar pull on me as the Atlantic does. Yet the experience of the two oceans could not be more different. While the Atlantic is inviting, warm and accessible, the Pacific (at least here in the northwest) is foreboding, cold and dangerous. And yet I love it just as much, if not moreso. Earlier this week we took a short trip down to the Long Beach Peninsula. It was the first time I had been there. And as part of that trip, we went to Cape Disappointment State Park. This is truly a majestic place, the southwest corner of our state, the place where the Columbia River empties into the Pacific Ocean. 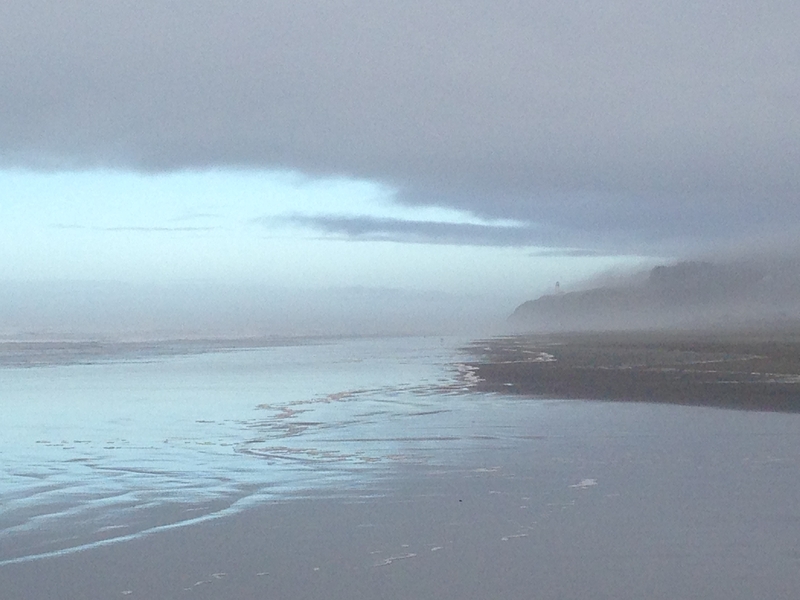 We took a short hike to see the Cape Disappointment lighthouse, had a picnic lunch and walked along the beach. As part of our visit, we tried to take in the Lewis and Clark interpretive center, but unfortunately seasonal hours meant it was closed the time we tried to go. 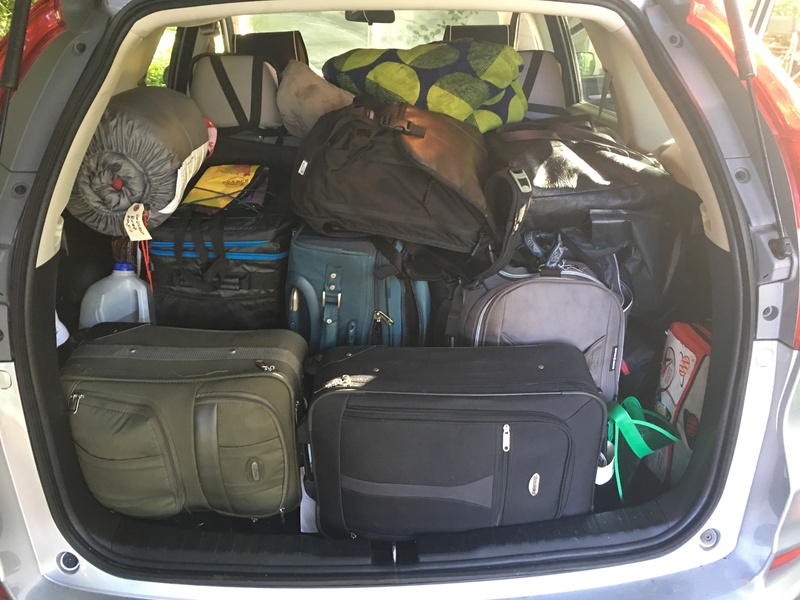 We’ll save it for another trip. But in any event, we read of the importance of this location for that expedition, the place where the success of their mission was confirmed. Their journey of exploring westward brought to an end by their sighting of the Pacific. The Lewis and Clark expedition, travelling across land to the ocean, provides another meaning to the mighty Pacific. Just as the Pacific is an ocean of immense size and beauty and awesomeness, it also represents—then and now—potential, promise and discovery. Having grown up back east, the Atlantic was for most the ocean one crossed to get to get to America. Doing some genealogical research recently I even found a picture of the very boat on which my maternal great-grandfather sailed to get here. But stretching back to the earliest time of settlement, travelers came from the “Old World” to the “New” via the Atlantic Ocean. To cross the Atlantic today was to go back to one’s roots, one’s origins. In other words, the Atlantic represents the past, the Pacific, the future. I was filled with this sense of temporal meaning as I stood out at the edge of the water. Standing at the edge of the Atlantic I used to imagine Europe right over the horizon. Staring out at the Pacific, it strikes me as so vast, that I can’t imagine anything beyond. For our forebears the Atlantic was that which was left behind. The Pacific represented that which was to come. The same is true, perhaps, for us. I’ve been thinking recently a lot about Rabbi Akiva, the sage from the Talmud. Rabbi Akiva was one of the greatest rabbinic leaders of that era and who was eventually martyred by the Romans. Many important stories and teachings are attributed to him, yet legend teaches he only began his religious studies at the age of 40. Up until that time he was a laborer without an education until he remade himself, committed to studies and became a learned man. Having recently turned 40 myself, I’ve been thinking of my “Akiva moment.” What could I do, what do I want to do, to reinvent myself at this stage in my life? 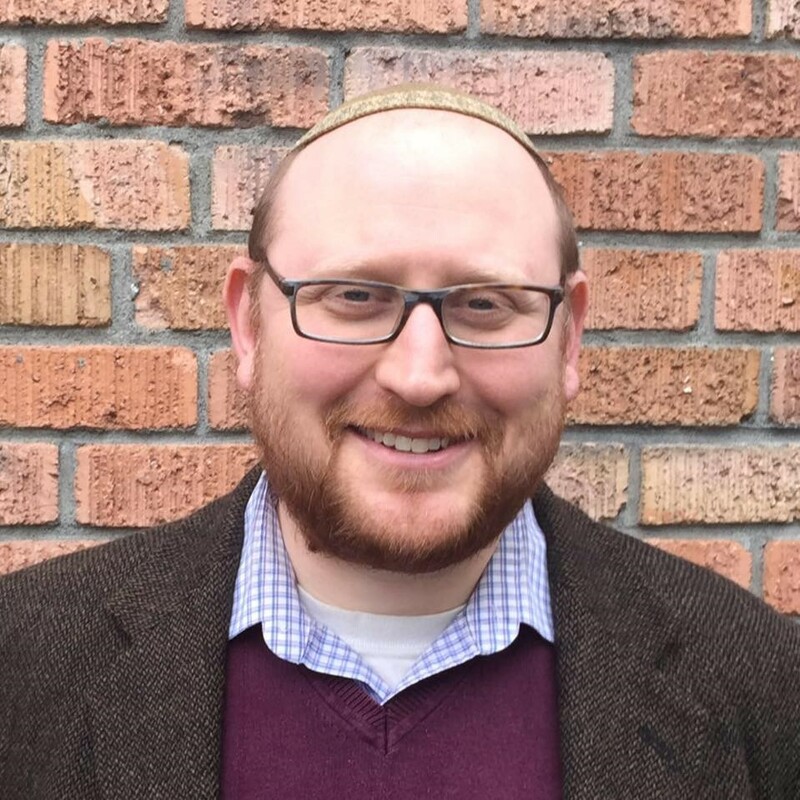 As I continue to serve this community, where do I want to take my rabbinate? Wherein lies my next resource of untapped potential? What aspect of life do I want to discover for myself? We don’t have to be 40 to ask these questions of ourselves. We can ask them any day, every day. These questions carry with them excitement and danger, hopefulness and caution. They may be brought about by external circumstances or internal motivations. They are hard questions to ask and answer. If you need motivation, just look out at the Pacific. It’s never too late. Or, too early.